Copyright ©2015 American Classic Homes. All rights reserved. 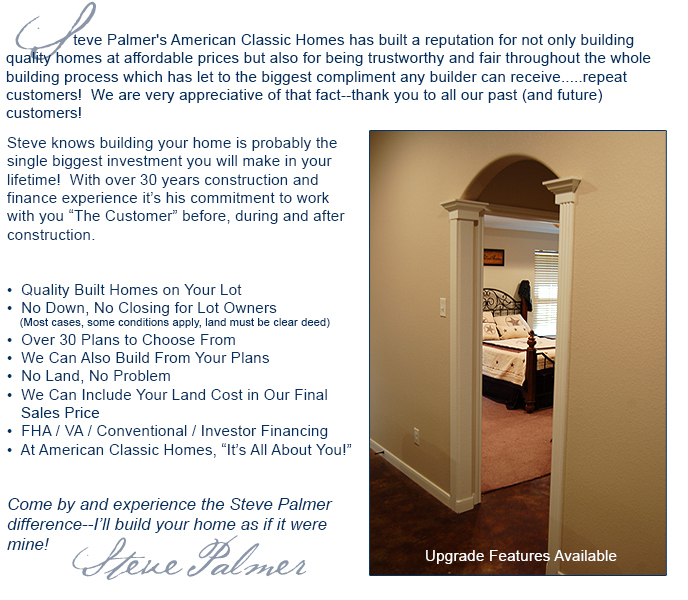 A Trusted Name in Homebuilders for Over 25 Years. Quality homes at affordable prices. We will build your new home as if it were our own!!! Serving the Central Texas Area.